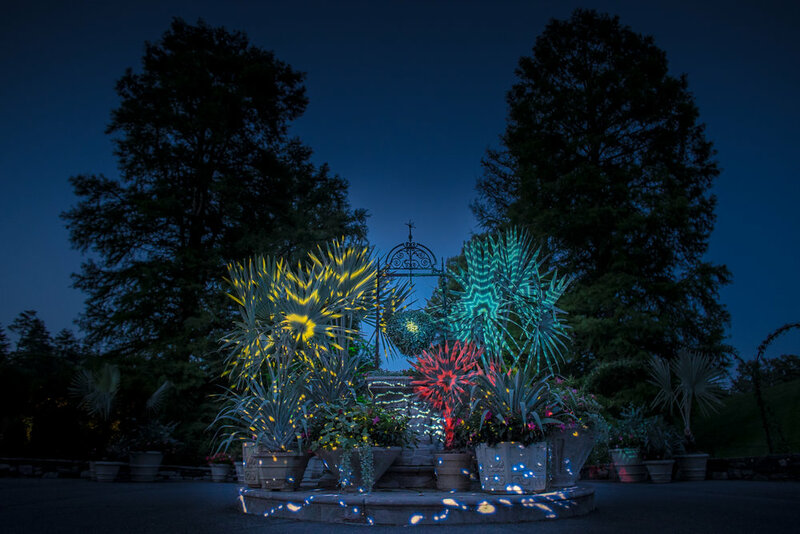 Set over Longwood Gardens’ expansive grounds in Kennett Square, PA, Nightscape combines the projection mapping technology of Klip Collective with the sounds of Sun Airway, Pink Skull and more, and leads guests on an immersive and imaginative nighttime journey. 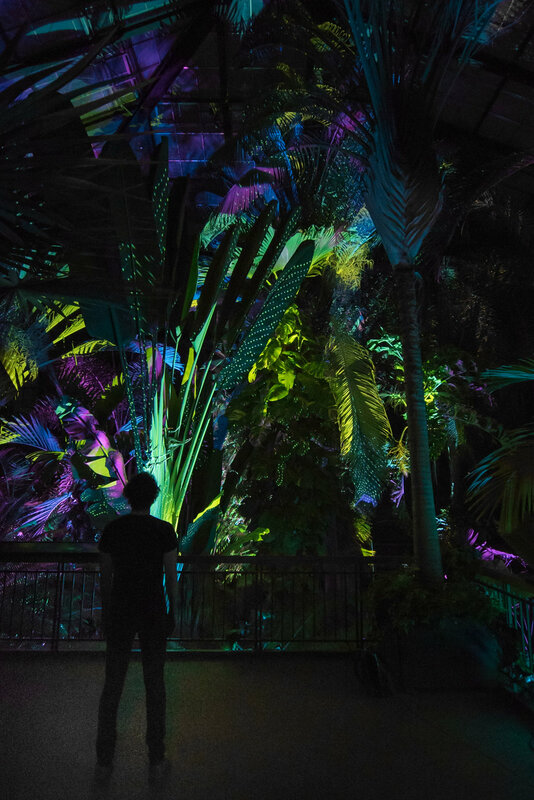 Over two seasons, Nightscape has attracted nearly 300,000 visitors. 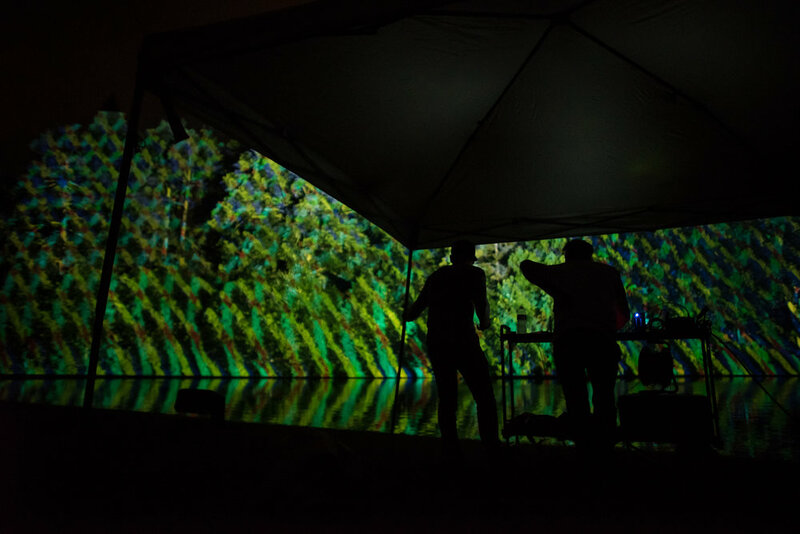 In its second year, Nightscape returned with a few visual surprises and completely reimagined music. 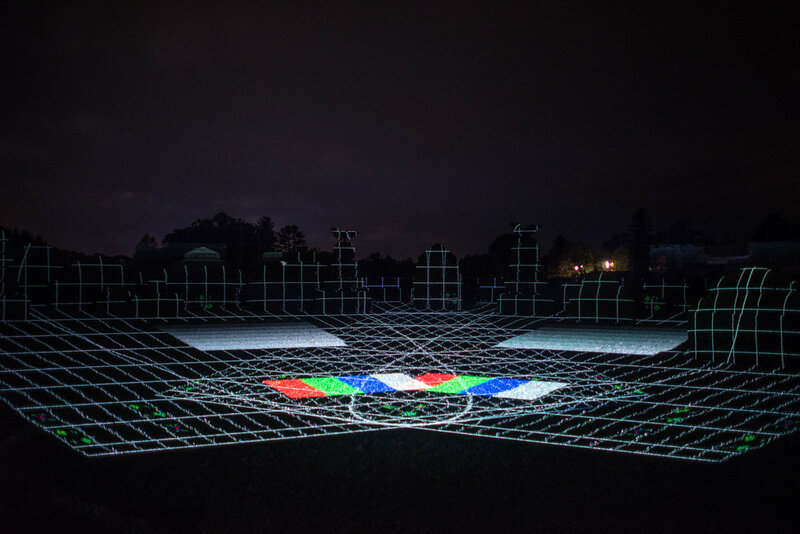 The process for Nightscape involved many nights, from dusk till dawn, working with projectors and testing content. 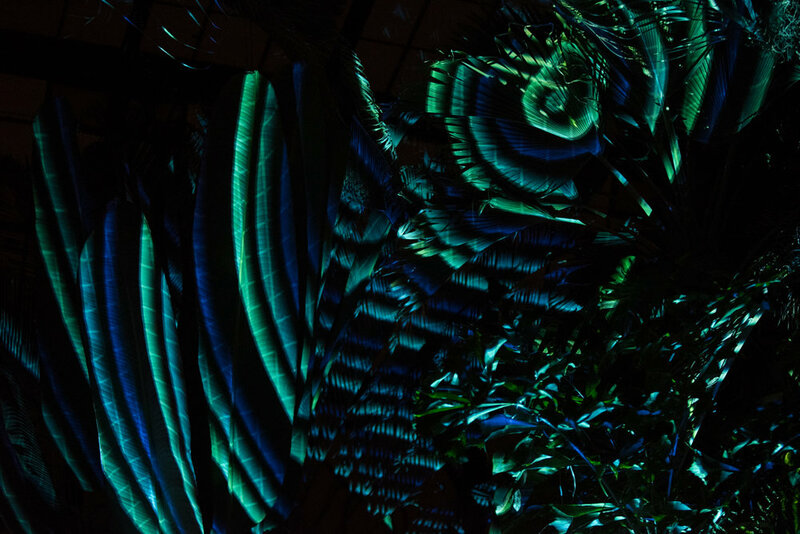 Over a two year period, we installed everything from the custom fabricated housing and projectors, network infrastructure lines, and multiple Pandora systems. Though everything was able to be troubleshot and controlled remotely, we also provided on-site techs to keep the show running smoothly. 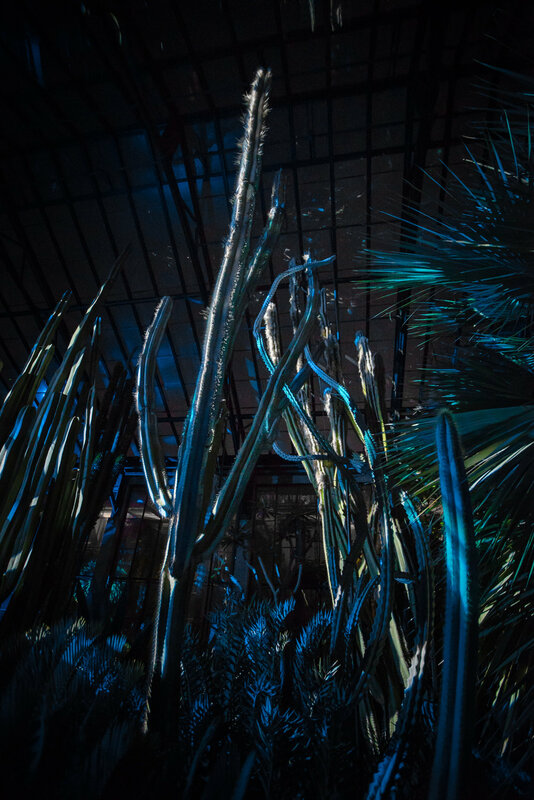 The first installation you encountered as you entered Nightscape was the Rose Arbor. This was meant to greet user and get them prepared for the experience to follow. The next location was Flower Drive. 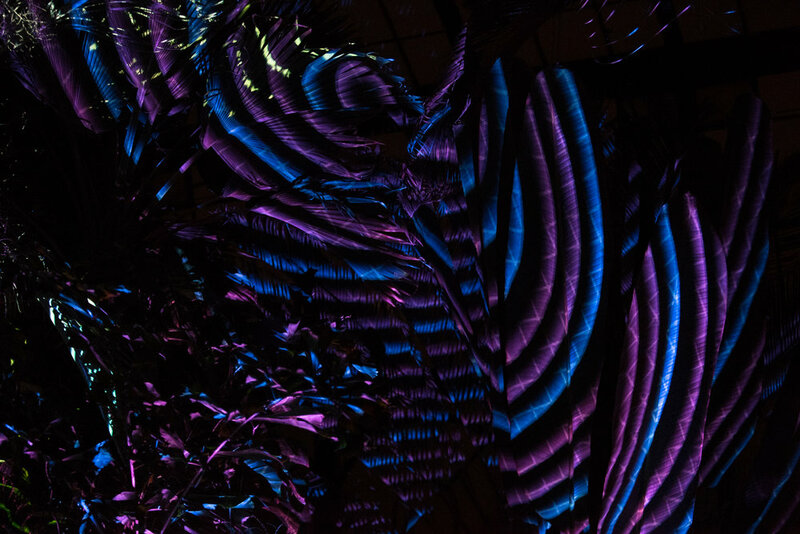 This piece pulled people in as they walked down a long stretch of projection and sound. Next up was Longwood Garden's iconic Legacy Tree. This was a place for people to slow down and admire its grand scale. 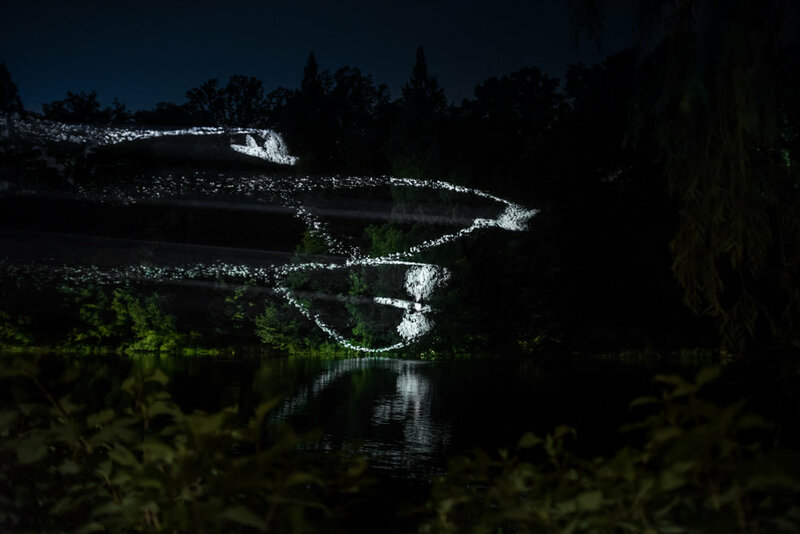 Large Lake was a theatrical show that looped every 10 minutes. 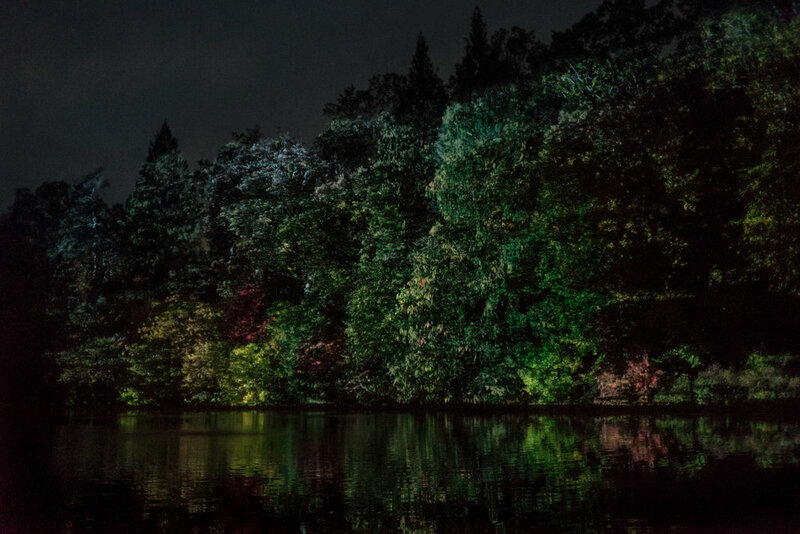 People could remain and watch the spectacle as projected fireflies danced, and the seasons changed and shifted right before their eyes. 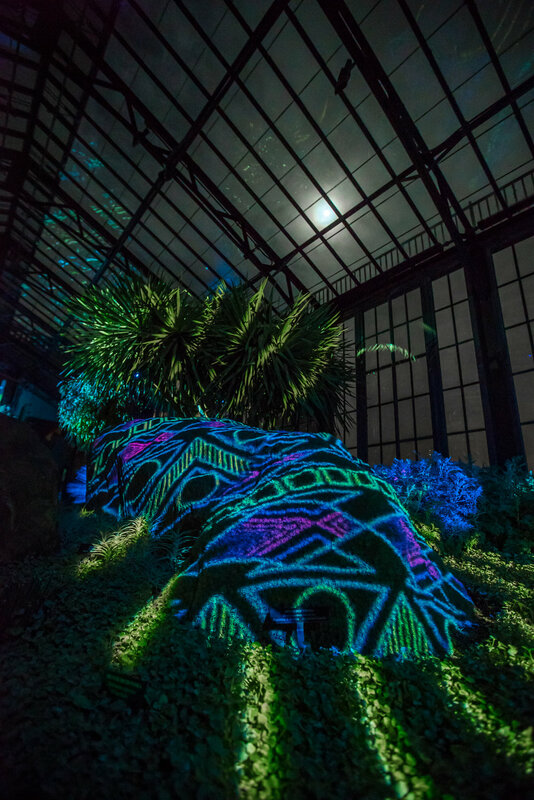 At this point in the show, you would make your way to the Longwood Garden's immense Conservatory building. 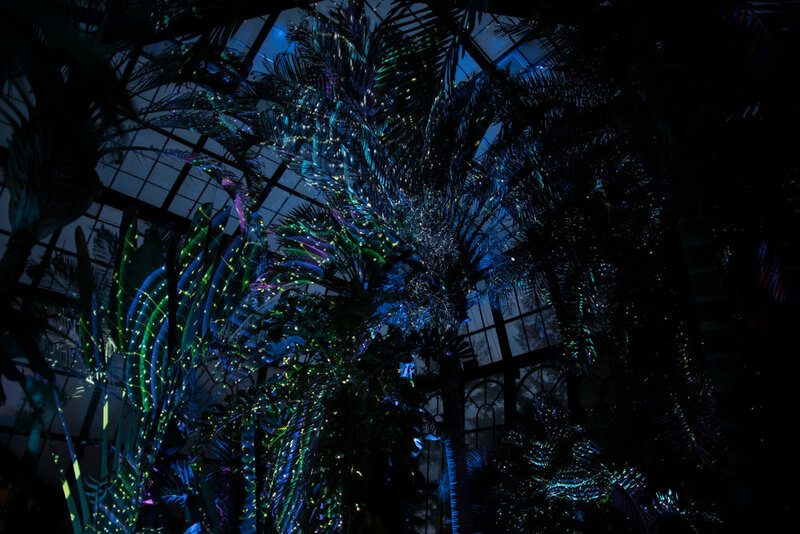 Once inside, you were free to explore a variety of installations such as one of our favorites, the Silver Garden area. 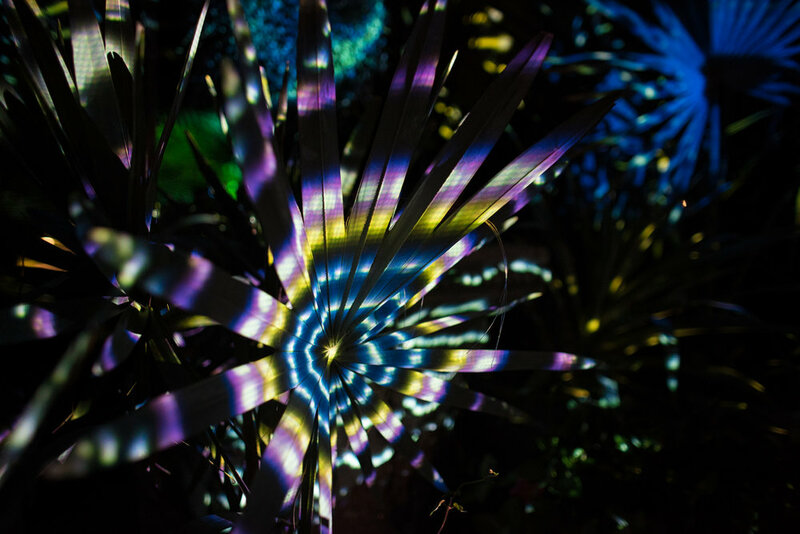 This was an amazing setup for us because all the plant life in this area is grey, so colored projections played nicely off of the variety of surfaces. 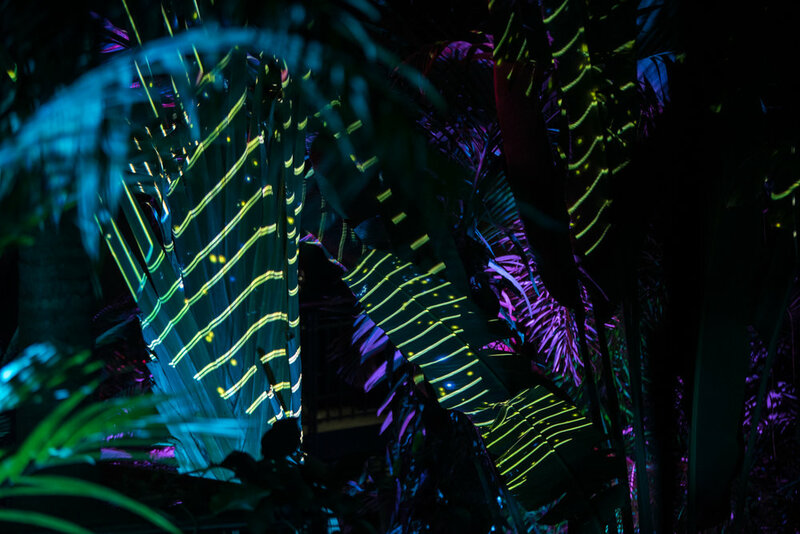 Palm House was a close second favorite, due to the leaves of the palm trees that created all types of interesting racking effects with the projections. 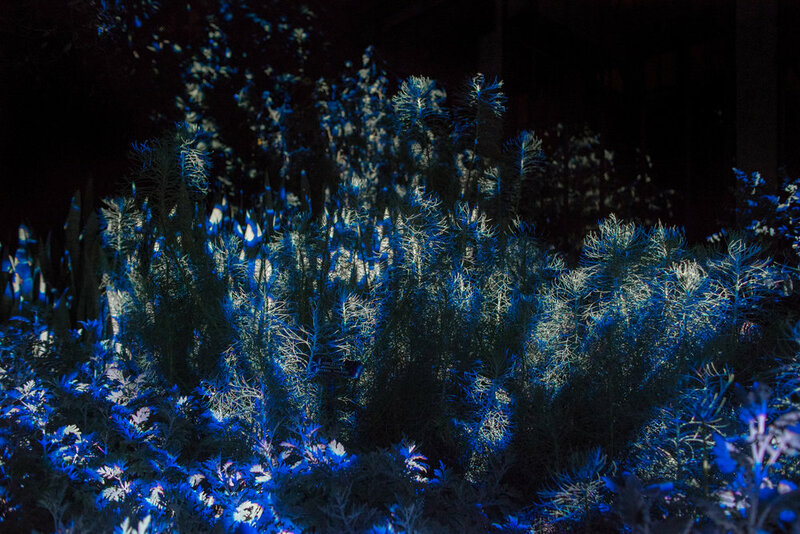 Last but not least, one last theatrical 10 minute performance was on display in the open Hedge Garden area as you made your way towards the exit of Nightscape. 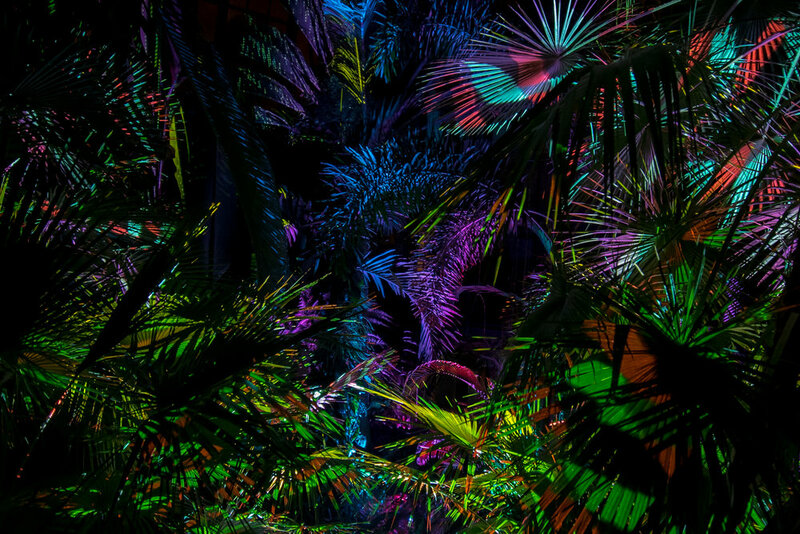 Orchestral trumpets and a rainbow of colors bid you a triumphant farewell.